Summer is upon us in Cape Town and we are getting hit HARD! You may think of South Africa and think of hot desert lands but we all know that’s not real life. The reality of Cape Town is hot days, hot night, cool days, cool nights, and heavy winds. Basically anything goes and your skin takes one heck of a pounding along the way. Therefore I decided that this post would be all about the two products that I use religiously (at least twice a day) to keep my skin feel refreshed and hydrated. 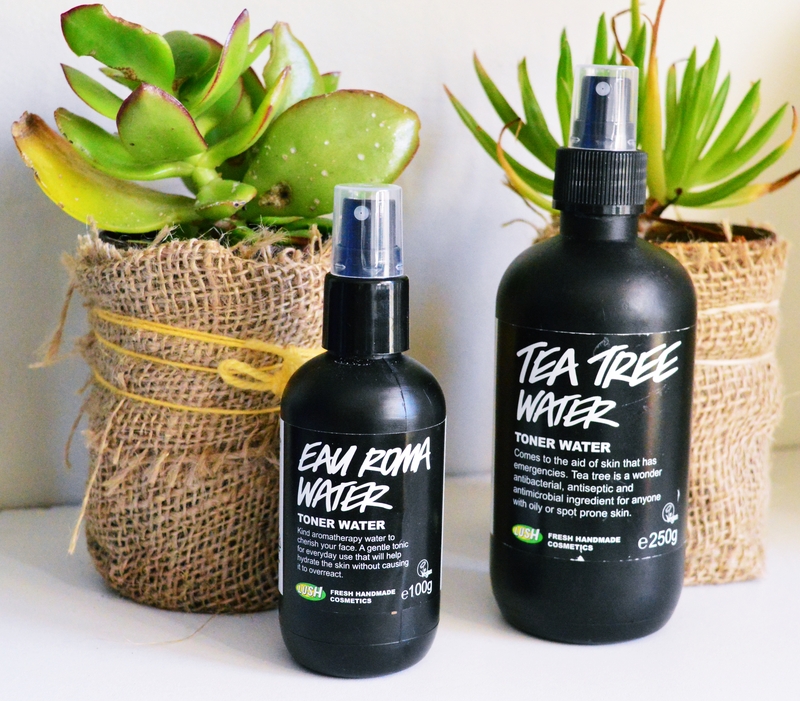 The Eau Roma Water and the Tea Tree Water, both from LUSH. 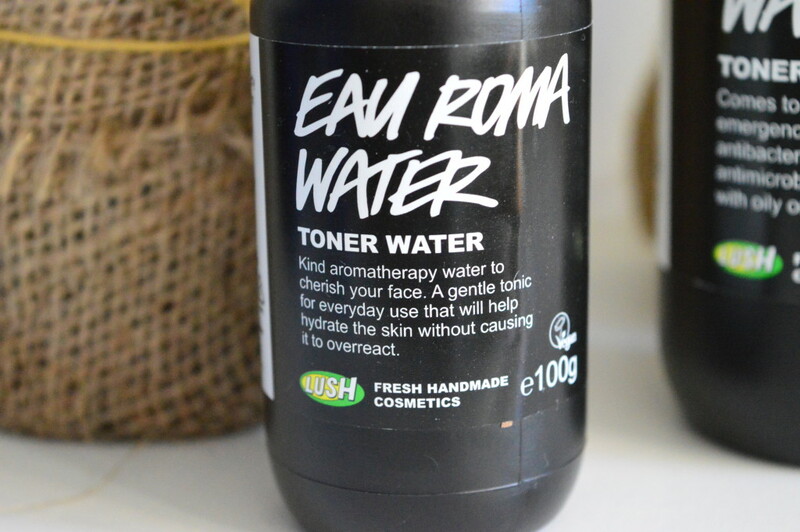 My first favourite was the Eau Roma Water; the first thing that hits you about this is the hydration that your skin feels. Nothing is better than the feeling you get after applying this after a long, long day of wearing a face full of make-up. It is utterly soothing and refreshing. The main ingredient is rose water (of which I don’t smell in the formula) and according to the LUSH website this is perfect for “dry, older or sensitive skin”. I am only 22, my skin is normal to combination and my skin is not sensitive so I get the feeling that most people could use this one. AKA, amazing. You can buy the 100g spritzer for R85 and the 250g for R135. This is one of those products where I would most definitely suggest getting the smaller bottle first. NOT because you may not like it, but because one little bottle goes a long long way. I got my 100g in March (it is now November) and it’s not even half way finished. 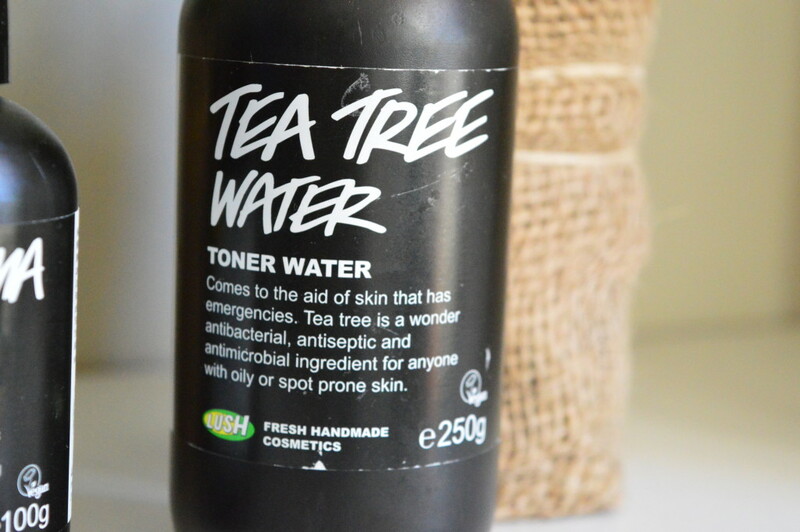 Secondly, the LUSH Tea Tree Water. I was a tad hesitant with this one as I used to love love love another ‘organic and natural’ brand’s Tea Tree Toner but, after two years of using it, I had an awful reaction and had to stop using it (weird, right?). A friend assured me that this one is definitely not as harsh as other Tea Tree products that we are used to, so I gave it a go. It works exactly as the Eau Roma water, but with the delicious smell of Tea Tree Oil. It definitely gives your skin that ‘tightened’ feeling so I prefer to use it on days when I am going to stay in doors and my face can have a break and just calm down from make-up and the sun and the wind. The most impressive thing in my opinion is that (once I read online that this works wonders on oily skin) I do not have oily skin BUUUUT there is one annoying patch between my eyebrows that gets oily after a few hours of wearing make-up. Applying this every day on that area really makes a difference and I find that the patch will get oily still, but after a much longer period than before. The LUSH website also states “we have added juniper berry and grapefruit waters to refresh and gently tone with natural oils”. Now, doesn’t that just sound divine? This one is also R85 for the 100g bottle but the larger 250g is R145. Leave me your opinion on these two products down below if you have ever used them!